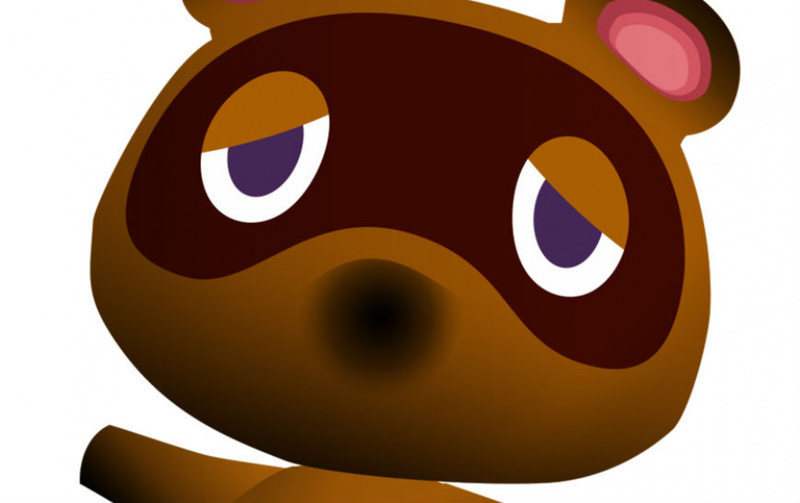 Animal Crossing Co-Director Thinks Tom Nook Is "Very Misunderstood"
"He’s not as bad as other people might think he is"
When you start a new game of Animal Crossing, the figure who seems to loom largest in those early hours is Tom Nook, a tanuki who always seems to have dollar (or should that be bells?) signs in this eyeballs. Nook has a reputation of being a rather greedy capitalist, profiting on naive newcomers by putting them to work for low wages and constantly dangling expensive house renovation ideas in front of their eager noses. We think he is very misunderstood. He’s just passionate about his business. He’s not like a loan shark. He doesn’t add a handling fee or anything like that. He can wait as long as it takes for you to pay back. He’s not as bad as other people might think he is. Do you think Tom Nook is a good guy underneath all that money-grabbing? Or do you feel that he is motivated entirely by greed? Share your thoughts by posting a comment. There's never a deadline, and he's always a funny guy about it in the games. I mean, he could be worse. He could be Crazy Redd. Plus he will buy pretty much any crap you sell him. Tom Nook is Nintendo's greatest villain haha. I loved the Kotaku article on this yesterday, especially the YouTube video they found of the kid ranting when she came to the realisation he was a loan shark! Well he gave me a house even though I never asked for one and expects me to pay for it. I'll live in the museum. He's a hustler, a pimp. People have always joked about how Tom Nook operates, much in the same way he jokes about a few consequences himself in the games, just harmless friendly jokes. Over time these sorts of things circulate and twist, and a different sort of image starts to form though, ya know? can you give me the link to that article? But now what about Lyle? Just like Bowser, Tom Nook is misunderstood. I never thought of him as a bad guy.. I think he's a bad guy! Sure he acts nice, acts like he's your friend, gives you a place to help you get on your feet... But just as you get your final repayments made, BAM, he sneaks over to your house and adds an extra floor you didn't want or need. "That'll be $160 000. What do you mean you don't have it on you?" He might not be charging interest, but someone who makes (quite frankly shoddy) renovations on someone's house without their consent is certainly not doing it without taking some kind of cut. We don't know there's no handling fee in amongst all that! "Do you think Tom Nook is a good guy underneath all that money-grabbing? Or do you feel that he is motivated entirely by greed?" The bias inherent in this question makes me sad. I take people as they come, and Tom Nook has been kind and helpful to me, apart from being a bit snippy about my time keeping on my first day in Wild World. You could even commend him for offering a temporary job to a clueless greenhorn, as it allowed me to earn enough Bells to buy a fishing rod and shovel. He has his demons, after all. His broken love affair with Sable (which he messed up) must affect his outlook on life. I just think he's so darn cute. Yeah, he's really not bad in the game at all. Even so, I like to joke around that he really is the greatest villain of all time like some others do. The guy builds you a statue of yourself for free if you pay off all that debt, and always lets you pay said debt whenever you want. He's hardly evil, unlike those accursed bees, scorpions, tarantulas and occasionally Crazy Redd and Lyle. What? What is wrong with giving me a job, and something to do in exchange for money? Without him there wouldn't even be a game. Why does religious morals creep into every discussion and ruin all that is good in life by calling good things bad and bad things good? Do you expect him to be my slave? His being there makes things better for me, so of course he should get paid what ever he requires, or he can simply refuse to serve me. Damn slave morality! In real life, you miss a deadline and they foreclose on your house. In Animal Crossing, if you should decide to be a bum and just sit and stare at the daisies all day, there's no pressure. He personally builds and upgrades your house for you. Without even asking about your credit, he gives you a loan for it with no interest or deadlines whatsoever. And then, if you ever get around to paying him for your house, he builds you a golden statue of yourself and charges you nothing for it. Oh, that scoundrel! Has he no shame? I've personally never had a problem with Nook. He's a cuddlebear compared to real life landlords. I've always thought Thomas Nook was a crook! An opportunistic fiend. I think it's mostly a joke though. I like Tom Nook but at the same time I pretend he's evil sometimes. I don't think you're supposed to like Tom Nook. He's that guy who pushes a purchase onto you for an absorbent price in every game for which you spend the rest of the time paying off. Although, it can be fair to say if it wasn't for Tom Nook, you might have been homeless. And in the end, he's just there to give you goals in a game to work toward. I don't hate Tom Nook as a character though, rather, I find humor in the situation he puts you (and everyone else who plays Animal Crossing) in and enjoy visualizing him as the bad guy. I don't understand how people DISLIKE Tom Nook. I never found him to be annoying about the loan. When I first got Animal Crossing as a child, I assumed if you didn't pay the loan fast enough he'd take your house. Ergo, I spent almost all of my bells paying for the loan instead of needed furniture and tools, until I realized that you have unlimited time to pay. I always found him as a necessary part of town - the only member that would never leave me no matter what other than the Sable Sisters. I took comfort in him, and was quick to buy everything in his shop every day (if I could afford to) in order for him to upgrade his shop. All in all, he's my favourite character in Animal Crossing. My most hated is that snake Lyle... grrr, that guy really grinds my gears. I think we should be more concerned with Crazy Redd or Lyle, those two have issues. Tom Nook WILL force you to take on another loan to upgrade your mansion when you have paid off your present mortgage. However, if you prefer to live in a smaller mortgage free home, you can do that by not completely paying off that loan. He'll never hound you to complete. @Mowzle LOL I did that too. Lots of stuff in letters... No, wait. I think I paid off the first one, then told Nook to go screw himself and didn't pay for the next one. @Captain_Balko: Don't you mean he really busts your chops? The real villain here is the game design that doesn't let you walk away from that guy who wants to sell you bee sting insurance. Seriously,even if the guy keep jabbering on and on I should be able run away to my house. It would be awesome if he kept banging on the door, And then you could get your shovel and thwack him on the head with it, then beat his brains out once he's done in revenge, stuffing would fly out, and you would never deal with him again. Me and Nook go way back... we've never had any issues. I like Tom Nook a lot. He never pushes you to make payments on the mortgage, which means I can save up every single Bell to cover it and pay it all at once. Plus, he's a tanuki, which, while mischievous, are also quite lovable. Now Crazy Redd, on the other hand...yeah. I've always liked Tom Nook, sure he may seem greedy at first but then who in their right mind would give you a free house? The tanuki knows that his services are beneficial to you while remaining profitable to him, it may be shrewd but he goes to great lenghts to make things work for both sides which shows he cares about the customer. Besides, as the saying goes give a man a fish and you feed him for a day, teach a man to fish and you feed him for a lifetime. Tome Nook doesn't just saddle you with a loan and part-time job, he teaches you the ropes. You can sell him anything. From dirt to diamonds. @Omarsonic9 almost anything is more like it. You can't sell him most of the things you would buy from Redd or most of the holiday items.